Create shapes, embellishments and more! Designed for use with the Slice Die Cut Machine, but is compatible with other die cut machines as well. 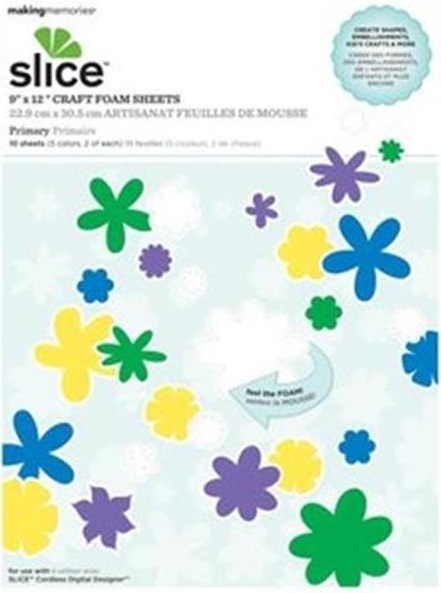 Contains 10 sheets of 9x12 craft foam sheets: 5 colors (Red, blue, purple, green and yellow ), 2 of each design.